Doors Open Lambton County has just closed its first year. I had the chance to visit lots of sites over the last two days (but not all of them, too many to see in one weekend!) Here's some of the highlights of my Doors Open weekend. I'd love to hear any comments about places that other people visited and what they saw! 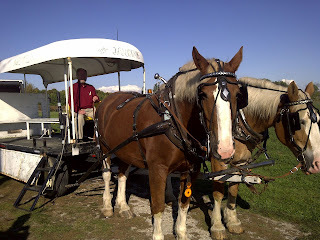 Charlie Fairbank, fourth generation owner of Fairbank Oil Properties, takes the reins of the horse-drawn wagon tour of his oil property. Charlie took us through the oil fields and shared stories about the history of oil drilling in Lambton County. Directly across the street from the developing Watford/Warwick Museum is the Watford Fire Hall. 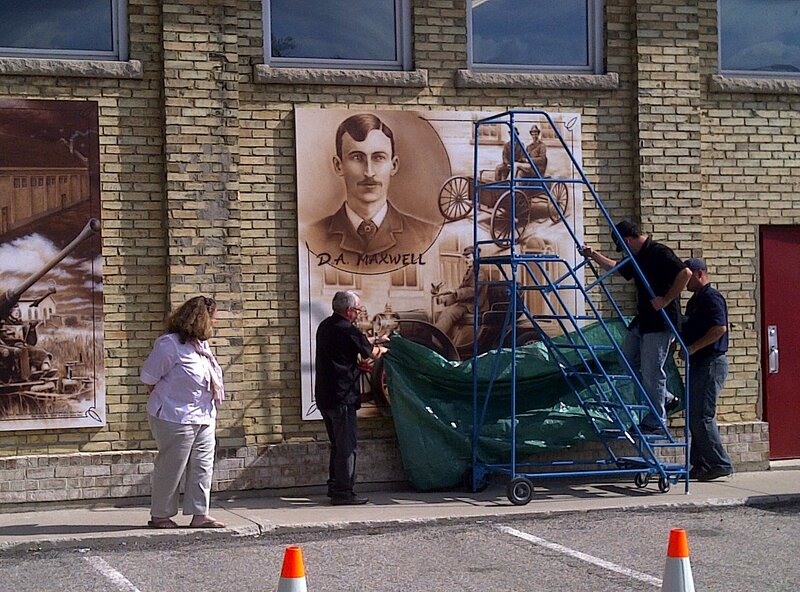 They held a mural unveiling on Saturday afternoon. 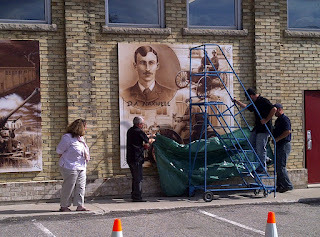 The series of three murals were produced by local artist Francis Martin and celebrate the history of the Watford Fire Hall, local military contributions and the famous Maxmobile that came out of Watford. Doors Open sites in Petrolia focused on Victorian architecture and stained glass. 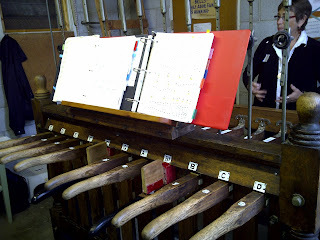 In Christ Church I had the opportunity to play the church bells! These bells are the only piece that survived a fire which destroyed the original church building. Each of the 11 bells has its own individual name. This snapshot is from the back gardens of a charming home in Corunna. 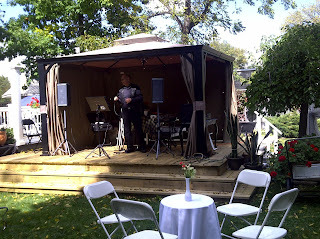 Homeowner Ida opened up her beautiful house for tours and held a variety of special events in the back gardens including music, refreshments delivered by costumed servers, and a Metis representative from Wallaceburg's Fiddle and Sash Association was on hand with artifacts and historical information. 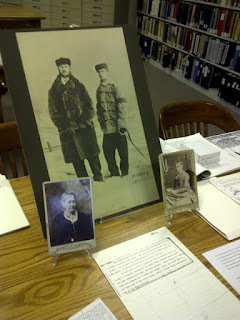 The Lambton Room Archives also participated in Doors Open. The archives brought out interesting material from their vault including rare photographs of interesting characters from Lambton County's history and a cookbook from the 1830s. Tips on genealogical research were provided and Lambton Room Historian Heather Lavallee was also on hand demonstrating conservation techniques. Thanks to all the site owners who opened their homes and their businesses for this event, and to the volunteers who made the event possible. Thanks also to all the visitors who took part in the Doors Open weekend and helped make it a success!